Anatoly Karpov was born on May 23 1951, in Zlatoust, Russia. He is a chess grandmaster and seven-time World Chess Champion. He is considered one of the greatest players in chess history, especially in tournament play. 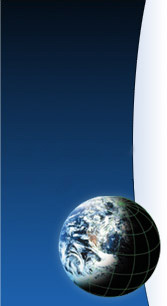 He is the most successful tournament player in history with over 140 first-places to his credit. Karpov learned to play chess at the age of 4, and at age 12 he was accepted into former World Champion Mikhail Botvinnik's prestigious chess school. He became the youngest Soviet National Master in history, at 15, when he won his first international chess tournament several months later. In 1967 he took 5th in the Soviet Junior Chess Championship and won the European Junior Chess Championship shortly after that. In 1969, he became the first Soviet player since Boris Spassky to win the World Junior Chess Championship with a score of 10 out of 11. His game rapidly improved and by 1973 he came in 2nd in the USSR Chess Championship, then placed first in the Leningrad Interzonal Tournament. The latter qualified him for the 1974 Candidates cycle that would determine who was allowed challenge the reigning World Champion Bobby Fischer. Karpov ultimately won the right to challenge Fischer for the world title. Everyone was eagerly anticipating the world championship match between Karpov and Fischer, but the match never came about. They could not agree on the rules for the championship, so Fischer withdrew and forfeited his crown to Karpov. Although Karpov was disappointed at not being able to play Fischer, he participated in nearly every tournament for the next ten years. He created the most phenomenal streak of tournament wins against the strongest players in the world. 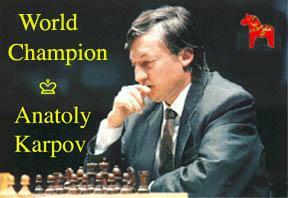 Karpov founded 15 chess schools throughout the world, including the first one in the U.S. in Lindsborg, Kansas. He was a member of the Supreme Soviet Commission for Foreign Affairs and the President of the Soviet Peace Fund before the Soviet Union broke up. He is also the Russian delegate to UNICEF.